4. Did I mention the mood swings??? So here’s a glimpse of the recent most interesting situations i’ve been in. 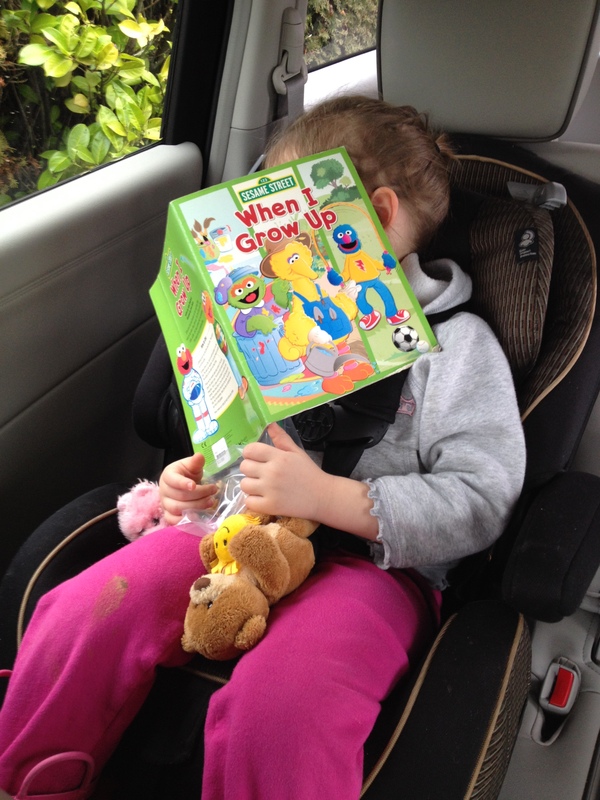 This was directly after trying out some “quiet time” in her room. 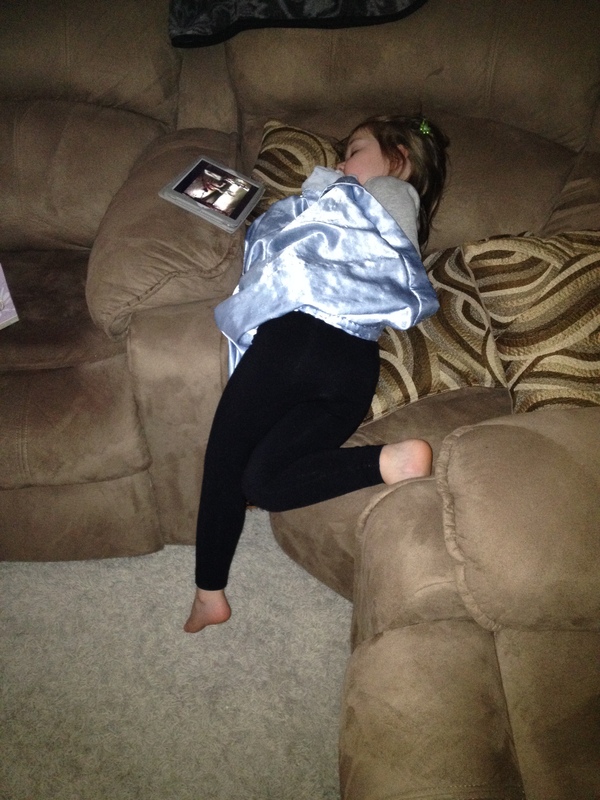 An hour later she came downstairs and promptly fell asleep while watching the iPad. Feet cockeyed and half dangling. These reinstate the fact that I always feel like i’m winging it. It’s kind of all you can do during this phase. I plan naptime, and it fails. I try and sneak it in with ‘quiet time’ and a show in her room, it backfires. 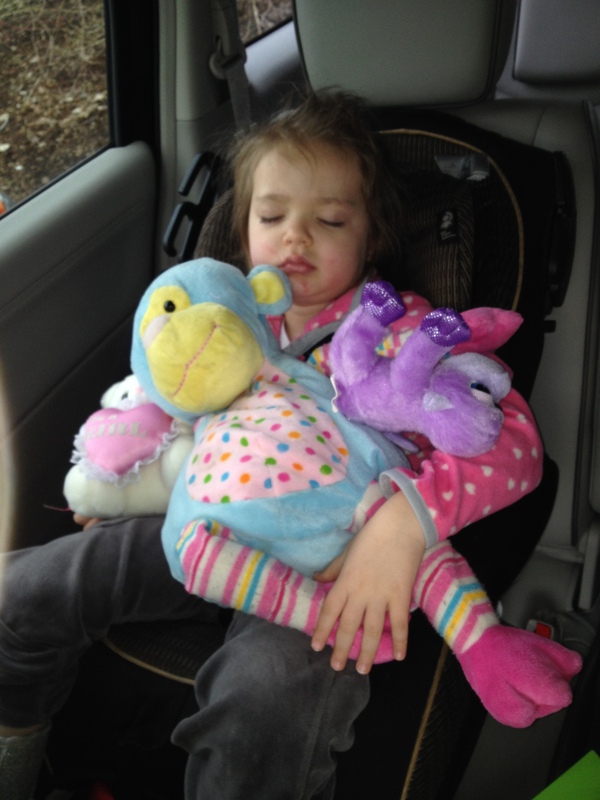 I make a plan and try to go somewhere, she falls asleep in the car on the way there resulting in me staking out parking spots in odd places in any convenient lot, at the risk of making passersby very uncomfortable.